Today, just a day after the public release of the new firmware for the iOS devices, iPhone Dev Team has released an updated Redsn0w version, which allows users to jailbreak iOS 5.1 on the iPhone, iPad and iPod touch. The exploit is only compatible with the A4 devices, jailbreak for iPhone 4S and iPad 2 based on the iOS 5.1 is in development. New Redsn0w 0.9.10b6 version is fully compatible with the latest Apple-iOS version and implements attached iOS 5.1 Jailbreak for iPhone 4, 3GS, iPad, and an iPod touch 3G and 4G. Hackers from Team Dev Team strongly recommend staying away from installing iOS 5.1 anyone who expects to be unbound jailbreak anytime soon. Right now, users have a choice: the original version to correct errors and add support for the Japanese Siri, thanks to the new firmware, or wait for the unattached jailbreak iOS 5.1. The new tool, which is preparing to release, will allow cracking the A5 chip (iPhone 4S and iPad 2). 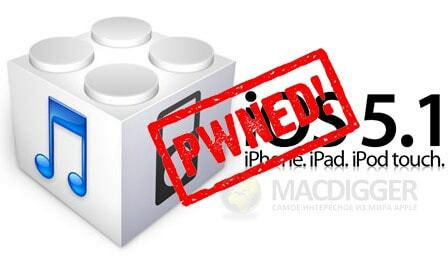 Redsn0w 0.9.10b6 doesn’t jailbreak iOS 5.1 on the iPhone 4S and iPad 2. The iPhone 4S and iPad 2 owners must to Stay on iOS 5.0.1. 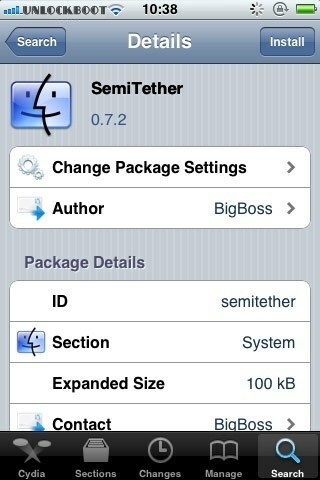 If you are using GEVEY or Ultrasn0w, Scroll down for more info about Unlock iOS 5.1. IOS 5.1 jailbreak is bound, your iOS-device must be connected to your computer every time when you reboot. Step 1: Download and install iTunes 10.6 for Windows or Mac. Step 2: Connect your iOS device to your computer and update it to iOS 5.1, using iTunes or a wireless upgrade function directly on the devices. It’s enough to go to the General menu-> Update -> Download and install it. To download the iOS 5.1 IPSW files, click here. Step 3: Download Redsn0w 0.9.10b6 for Windows or Redsn0w 0.9.10b6b for Mac and run the program. Step 4: Click on “Jailbreak” then on “Install Cydia”. 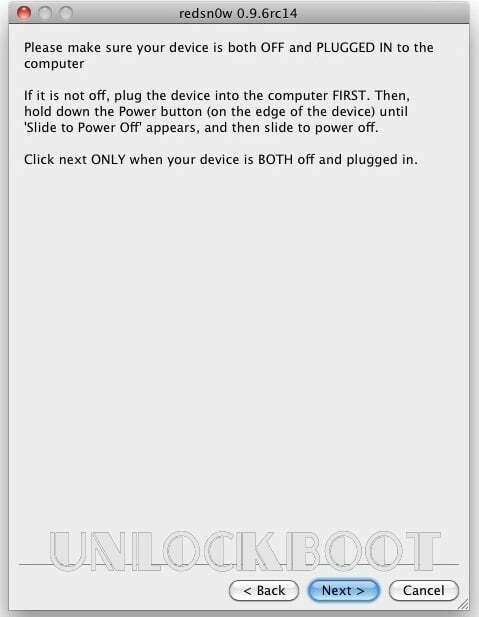 Step 5: Make sure that your device is turned off and connected to the computer then click Next. Now, Redsn0w is ready to jailbreak iOS 5.1, but before that, you need to put the device in DFU mode. Hold down the lock button for 3 seconds. Without releasing the lock, press the Home button for 10 seconds. Hold down the Home button then release the lock button. Keep holding the button for 30 seconds, after which the Redsn0w will start the procedure. When you see a gray background on the screen, you can release the button. Step 7: Now, each time you restart iOS-device, you must to connect it to your computer in transfer mode and jailbreak with a special Redsn0w function. In order to get the iPhone and the iPad bound mode, go to “Extras” and click “Just boot”. In order to get insurance in those situations where you haven’t a computer, you can install the tweak SemiTether (repository http://thebigboss.org/semitether). The utility offers a compromise between the untethered and tethered jailbreak, allowing you to reboot your iOS-device any time. This technology has one feature – loaded into this mode, gadgets lack some important features. Although, after a reboot with Redsn0w, all features are back to your iOS device. If you need to unlock iPhone 4, 4S, or 3GS using Gevey SIM or Ultrasn0w (current version is only compatible with iOS 5.0.1), updated to official firmware, You can Use Redsn0w 0.9.10b6 for making custom IPSW-file without updating your baseband. To do this, go to the Extras section and select the Custom IPSW. Specify the original iOS 5.1 IPSW file, and then continue to build the firmware. After the building procedure, put the iOS-device in DFU mode, click Pwned DFU from the Extras section and restore with the custom firmware through iTunes. After this procedure, you can unlock your iPhone using Gevey SIM. Update#1: RedSn0w updated to 0.9.10b6b with new OS X bug fixes.